Tongue Out: Stick your tongue out – letting it rest on your bottom lip. Tongue Bowl: Gently raise the side and tip of your tongue to create a “bowl” shape. Squirt: Using a squirt bottle, spray a few squirts of water into the “bowl” your tongue has created. Pull Back: Slowly pull your tongue back into your mouth – keeping it in a “bowl” shape as you pull it back. 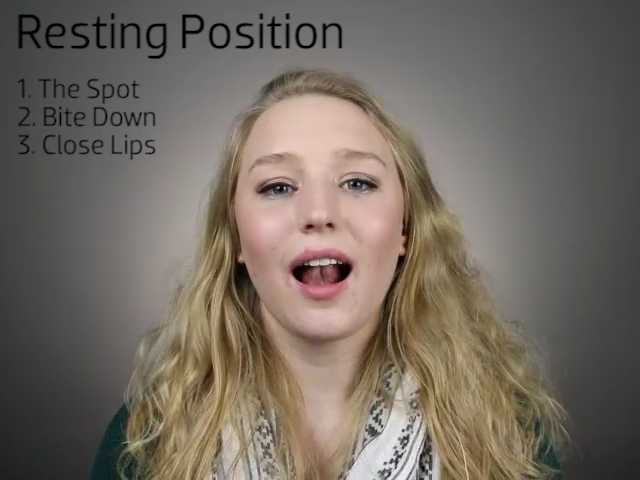 Bite: Slowly bite down your back teeth – keeping your tongue tip on “the spot” as you bite down. Smile: Spread your lips into a wide smile and hold them there. 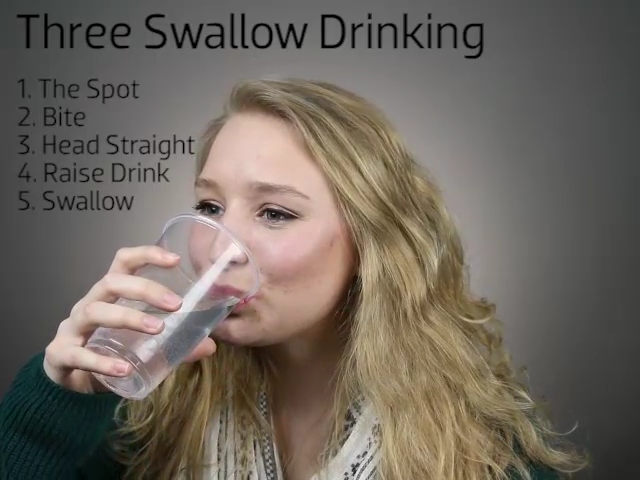 Swallow: Swallow the water keeping your tongue tip on “the spot”, and squeezing the middle of your tongue up against the roof of your mouth. Place Food: Place a small amount of soft food in the middle of your tongue (applesauce, pudding, yogurt, etc.). Squeeze: Squeeze your tongue up against the roof of your mouth. Check: Look at your tongue in the mirror to see how much of the food you swallowed. When using a spoon to place the food in your mouth, it is the easiest to put the spoon in your mouth and then turn it upside down to scrape the food onto the middle of your tongue. Click here to open Worksheet #4.